ARLINGTON, Texas (WLS) -- The first College Football National Championship presented by AT&T will be Monday, January 12. The No. 2 ranked Oregon Ducks will take on No. 4 Ohio State Buckeyes at the AT&T Stadium in Arlington, Texas. 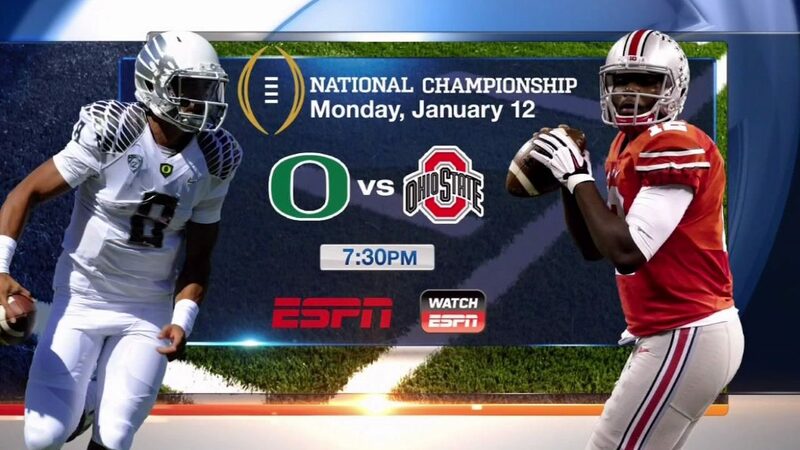 You can watch College Football National Championship on ESPN and WatchESPN at 7:30 p.m.